How it all started for Kovair? The origin of Kovair DevOps goes back over a year when we met Gartner Analyst in Si Valley regarding their thinking and analysis on DevOps products. What we learned from him is that there is no single product that he would describe as DevOps. He told us that there is a whole slew of products that combined in some manner to offer a DevOps Solution to the market. He then shared a chart with us that had a list of about 48 tools from open sources and multiple vendors! This led Kovair to think of a unified product offering for DevOps that combines several of these tools through our Omnibus Integration Bus that we knew is well accepted in the industry. In addition, we knew we had to incorporate Jenkin’s capabilities of managing the pipeline and various other functions such as fetching the code, orchestrating the build, triggering automated testing and so on with full real time visibility. We also decided that it has to be a true full DevOps solution with tools coverage for Development end until code is ready and then doing the Operations functions for the Ops – all in proper sequence for a true Solution that majority of prospects would accept and will be a true DevOps product in the market! Kovair DevOps is not just a tool for any one component of DevOps like CP, CI, CD, CT & Continuous Deployment but is a holistic package which ensures a smooth and successful DevOps journey for an organization. 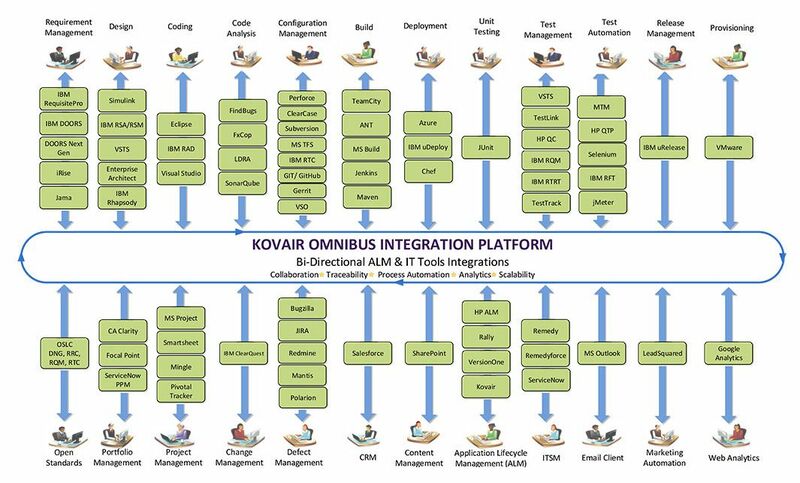 Along with integration of 73 best of breed tools through Kovair Omnibus, Kovair DevOps also offer enterprise class mouse click configurable workflow for orchestration, central database for all the data and analytics, and collaborative platform for near real-time collaboration to make it what we call a “Single Click” operation. 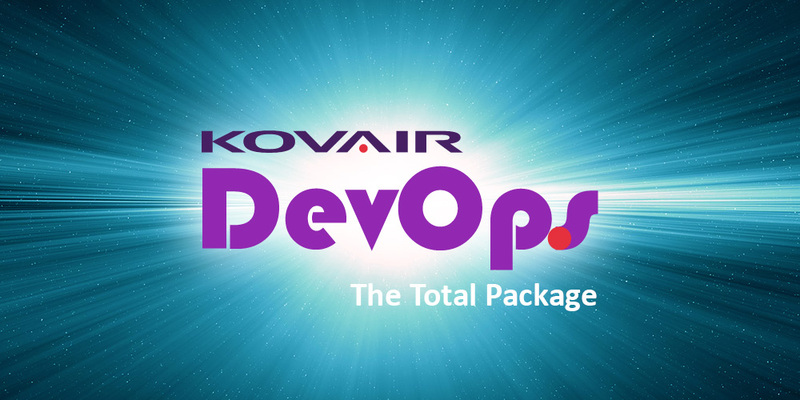 The DevOps solution from Kovair not only delivers a set of tools but comes with the following components. 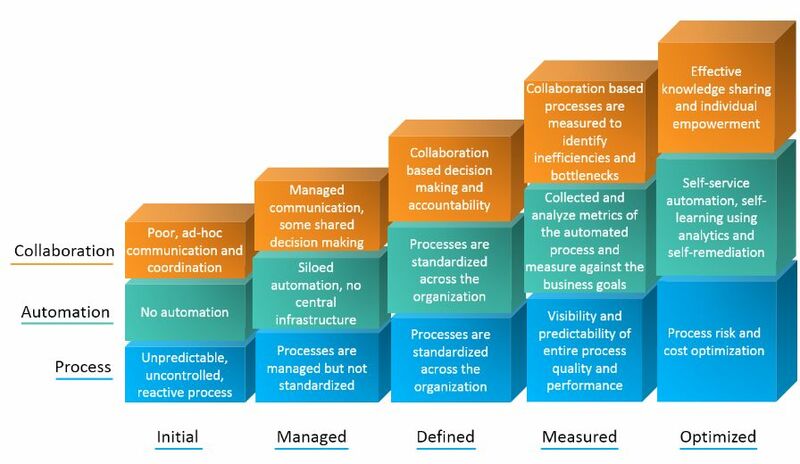 Kovair as a team not only helps organizations to implement DevOps but at every stage ensures that different stages of DevOps maturity cycle are achieved as shown below through proper assessment at every stage. Kovair has highly experienced consultants for DevOps. These consultants get engaged with client right from the beginning and work hand in hand with the organization in their DevOps implementation. Current list of 70+ integrations supported by Kovair are given below. Kovair DevOps package not only comes with consultation and tools but also has services in its offering. As a part of services, the following comes with Kovair DevOps package. Unlike other vendors, Kovair believes in and takes a 360 degree approach to DevOps implementation. Kovair becomes a part of the DevOps journey initiated by any organization and ensures a successful implementation of the same through consultancy, assessment, implementation and support at every stage and in every possible way. Amit brings with him expertise in DevOps, Big Data, Application Lifecycle Management (ALM), Agile Implementation using both Scrum and Lean, SDLC and PPM domains spanning over 18 years. Currently, he strategizes on the growth, market direction, and customer engagements for Kovair's exclusive range of ALM and Integration products. Until his recent assignment, he has held the responsibility of defining new products and marketing plans for them. Amit holds a Project Management certification from PMI Institute and is also a Certified Scrum Master.